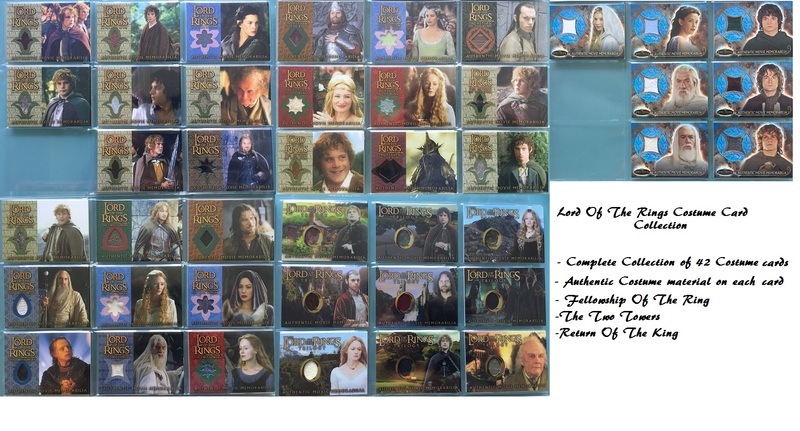 EVERY LOTR TOPPS COSTUME CARD ISSUED !!! - (Note: 42 costume cards in Total). Some of these cards can fetch up to £50+ each. This is great value set. Note: You are purchasing 42 Costume cards (All cards that were released for the Trilogy).